At Harambee Karate Club, we seek to discipline students’ minds, bodies, and spirits through the practice of Shotokan, a popular form of Japanese karate. Our biweekly self-defense classes in Superior, CO, encourage students to grow their character, their respect for themselves and others, as well as their physical fitness. Shotokan is a rewarding martial art that is both a fun way to stay active and a powerful means of achieving positive personal development. 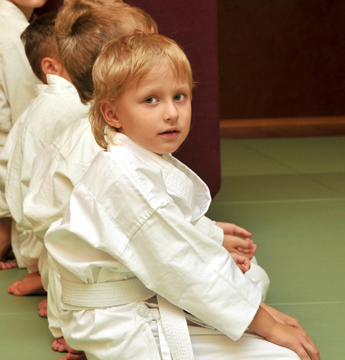 Our dojo welcomes adults and children as young as six to sign up for our classes. Self-defense is a valuable skill in itself, allowing a person to be more comfortable in his or her environment. But our style emphasizes the values of fidelity and respect, as well as the rejection of violence. Our martial art is one of health, productivity, strength, endurance, and growth. The lessons Shotokan karate teaches stay with students for life, and it prepares them to face challenges and overcome obstacles confidently. The skills students learn apply to all areas of life, not just to threatening situations. We invite you and your kids to join our dojo and participate in our adult’s and children’s karate lessons. Our instructors offer group and individual training. Since 1992, our dojo has guided students from beginner’s lessons through to advanced karate training. As with any discipline, the more you put into it, the more you get out of it. Perseverance is one of the key virtues that our training emphasizes. And that is the quality that our founder has demonstrated throughout his career in martial arts. Contact us with any questions about our karate classes for children and adults. We proudly work with students in the Superior, Colorado, area.